Maia Otinashvili (Photo: Goga Aptsiauri, RFE/RL). Several wrestlers and possibly other acting and retired athletes had played a key role in the release of 37 y/o Georgian woman from Tskhinvali prison, the family says, which was confirmed also by Georgia’s State Security Service (SUS). “I was told that Georgian wrestlers communicated to their [Ossetian] counterparts. I don’t know exactly the names but I’m extremely grateful,” Maia Otinashvili, a mother of three minors, said to DFWatch. 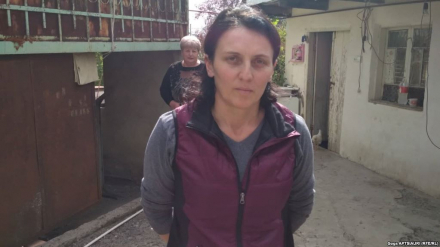 She was kidnapped on September 29 by armed masked men to the breakaway South Ossetia from her orchard in the village of Khurvaleti, which is inside the territory controlled by Georgia but adjacent to the conflict line. This incident sparked a mass outcry in Georgia. One of them kicked her with a knee while other hit with a Kalashnikov stock, Otinashvili says. 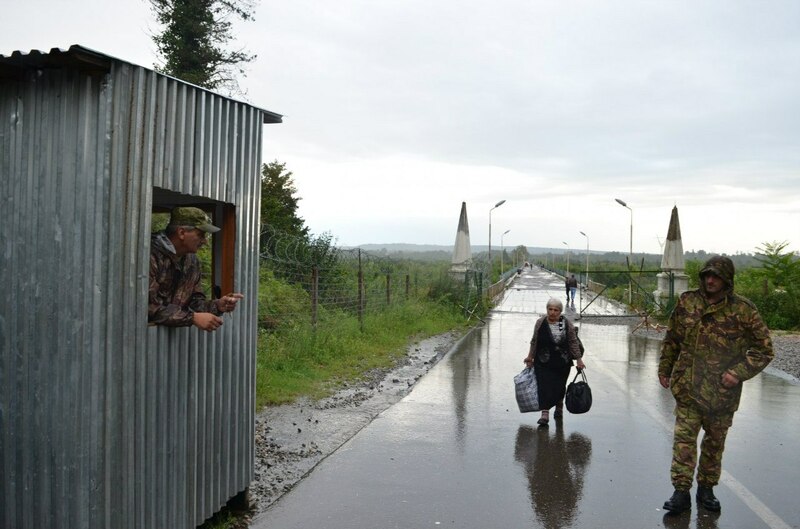 She was rushed to the Russian military facility at the village of Tsinagari, which is hundreds of meters away from her village. At first she was charged with assisting persons to illegally cross ‘the state border’ in return for money and sentenced to two months of pre-trial detention. But soon the breakaway authorities suddenly relented and Otinashvili was released staying altogether for 11 days in the captivity. She denies all accusations. Reportedly three Georgian wrestlers and an unidentified rugby player were involved in the informal negotiations which ended with Otinashvili’s release, her sister-in-law said to DFWatch. “Our Georgian wrestlers contacted their Ossetian counterparts. I was told one rugby player was also involved. Reportedly they negotiated [the release] with Dzambolat Tedeev. Tedeev has a huge influence in Tskhinvali, he is the real authority there,” she said. 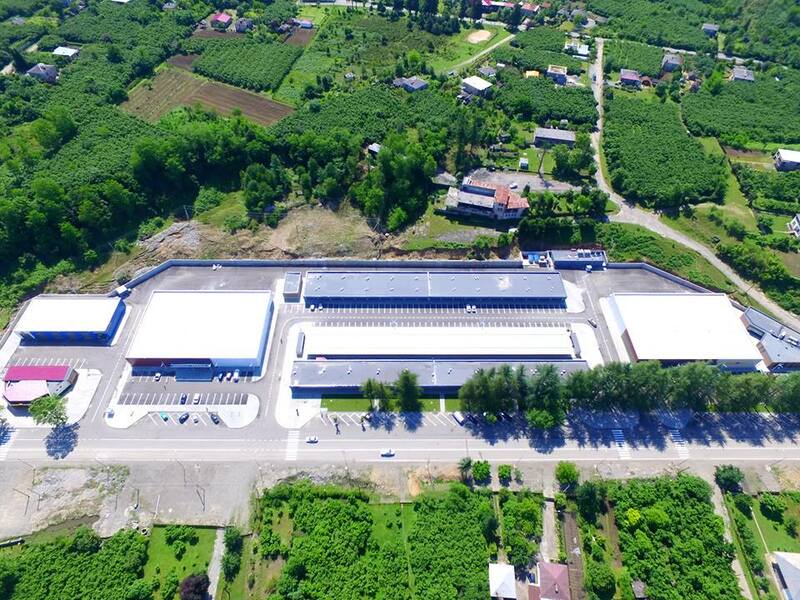 During a handover at the village of Ergneti, Maia Otinashvili was met, among others, by Tamaz Gega Gegeshidze, the president of Georgian Wrestling Federation, and Vladimer Lado Burduli, a retired football player. Both had reportedly been involved in the negotiations which led to Otinashvili’s release. Giorgi Iantbelidze, a coach at the Georgian freestyle national team, was said to be also involved. “With the help of our friends [Ossetian wrestlers] we tried to safeguard better conditions for the detainees and facilitate their return. All good things are done by friendship, we’ll try to maintain these relationships,” Gega Gegeshidze said. Although neither Gegeshidze nor other athletes have named their counterparts from the Ossetian side, it is widely believed that a key figure is Dzambolat Tedeev, a decorated former freestyle wrestler, who was born and raised in Tskhinvali. He is currently a coach of Russian freestyle wrestling team. Tedeev attempted to run for South Ossetian presidency in 2011 but was disqualified by breakaway authorities. 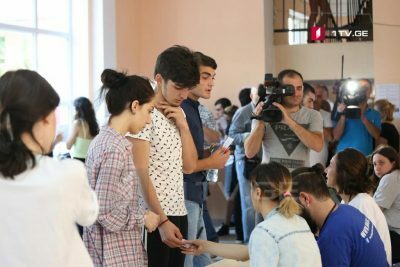 The Georgian State Security Service has also confirmed the athletes participation in the process and thanked them. The historical Shida Kartli region, or ‘Inner Georgia’, which includes much of the territory of breakaway South Ossetia, is renowned for its wrestlers and judokas. The are dozens of Olympics, World and European champions hailing from this region, both ethnic Georgians and Ossetians, who represent freestyle and Greco-Roman wrestling as well judo. Despite political turbulence, the Georgian and Ossetian athletes have managed to maintain generally friendly relationship. Geno Petriashvili, a heavyweight freestyle wrestler from Gori, won the gold at the 2018 World Wrestling Championships in Budapest, Hungary on Sunday.